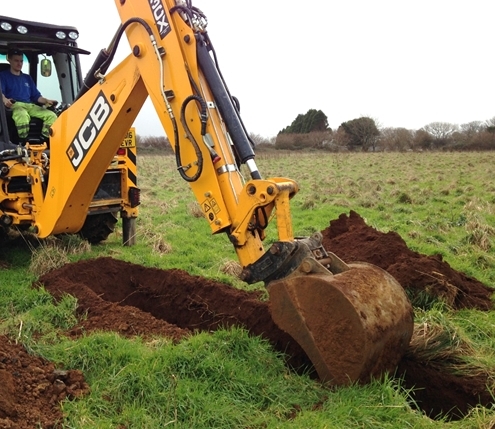 Work by the Wheal Jane Consultancy at a proposed four hectare mixed development site in Camborne resulted in positive conclusions from a detailed risk assessment. Research had indicated that high levels of arsenic and other metals were likely to be present on the land, owing to natural geology. A detailed sampling plan was devised to obtain representative soil samples from across the site. To examine the sub-surface, soil profiles were also obtained from trenches (skilfully excavated by an experienced JCB operator). From the 32 samples that were obtained, a sub-set was further analysed using a technique called PBET analysis. The test determined the bioavailability of arsenic, using a method that mimics the absorption of the substance by the human body. A detailed risk assessment concluded that the level of bioavailable arsenic posed no substantial risk in relation to the proposed end use.